Roof boxes don't have to be the preserve of your fancy-Dan neighbours who holiday in the Alps. Choose wisely and you can get a variety of roof carriers for under £250. 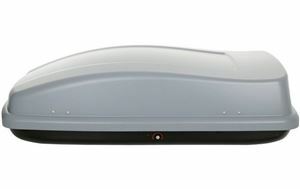 If - like most people - you only use a roof box occasionally, storage can be an issue. 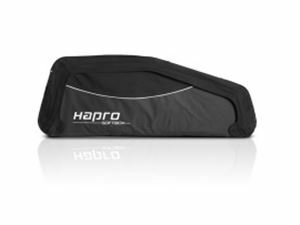 Hapro offers a solution with its Softbox range, which can be used with or without load but can be folded down for easier storage and is also considerably lighter than solid roof boxes. The downside is it’s not as secure and can't carry as much weight as a solid box. 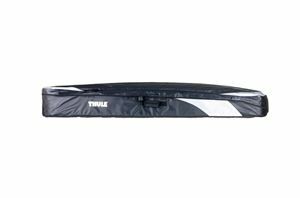 The Thule Ranger is another 'softbox' design that means easy storage, but this Thule offering is long and slim, making it ideal for skis. 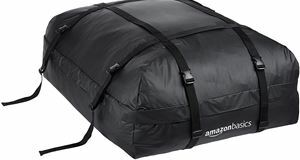 It also has clever internal zips, which let you adjust the size of the storage space so your stuff doesn’t fly around. One of the cheaper options here – and it’s available from lots of places so it’s worth shopping around – the Auto-Plas 415 isn’t pretty, but it will carry a great deal. Plus, the chunkier design means bulkier items won’t need to be left at home. 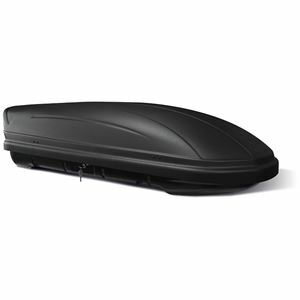 For a high-value option, Halford’s own-brand 320-litre roof box is both easy to use and practical. 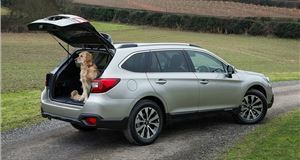 As a lower-cost box it does without some of the fancier features and the colour won’t set your heart racing, but the tall body means you can fit in larger items up to the weight limit of 50kg. Nothing short of a bargain at this price, Hapro dodges the 'budget' tag when it comes to the build quality and design of its boxes. 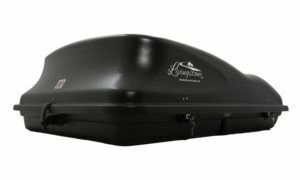 Especially considering it includes features like a front hinge for good waterproofing. 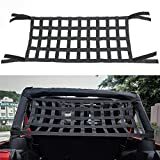 The low price means a little assembly is required but that also helps to cut shipping costs, and there are larger models with a similarly small price tag. 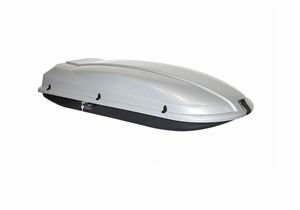 One of the cheapest roof boxes currently on the market, the 200 (or Drake as it is also known) nonetheless offers universal fitment kit and a choice of colours alongside the 200 litres of storage space. A little self-assembly is required and the load capacity is limited to 50kg, but for inexpensive, occasional use the Drake is tough to beat. 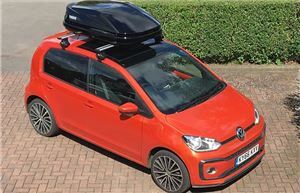 The reassurance of a Thule roof box sitting above your head can be yours for around £250, and considering the quality of the Touring S, it’s good value for money. It’s modestly sized at 330 litres, but you get all the features you want - like central locking, Fast Click mounting system and dual-side loading. We also have a full review of the Thule Touring S on this site. 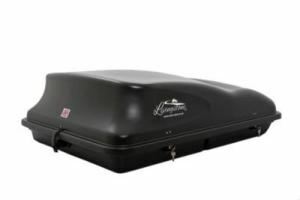 The Torino manages to look considerably more expensive than its price tag suggests, and can pack 430 litres of your stuff under the sleek lid. 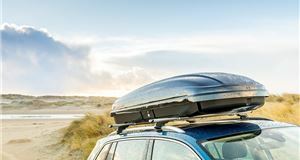 It might not come from a renowned roof box brand, but it does have TUV approval, as well as central locking and two sets of keys. 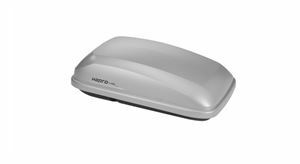 Another budget box from a value brand, the M-Way is available in three capacities. 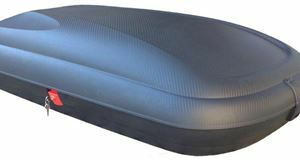 The smallest 320 litre version is available for £150 or less. Like many of the budget offerings, the maximum load is limited to 50kg rather than 75kg, but M-Way claims the Venom will fit any length of vehicle and weighs a modest 12kg, so it should be easy to manage. There's also a variety of fixing options including a U-bolt kit to suit thicker roof bars. Currently available through the retailer Go Outdoors, the Quest offers 320 litres and a 50kg carry capacity. 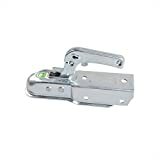 It also mounts quickly and simply with U-bolt fastenings. The relatively low cost means it only opens from one side, but it's built sturdily and has a smooth aero shape for minimal impact on fuel economy.